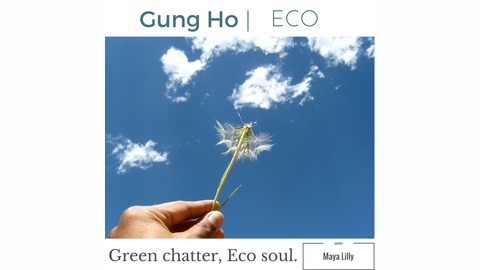 Gungho Eco: Green chatter, Eco Soul. 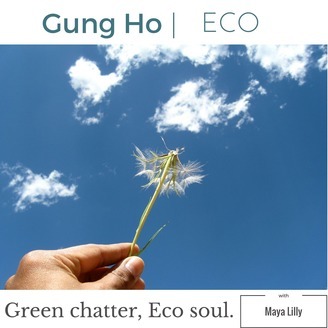 Join Environmental Security specialist Maya Lilly as she chats with concerned people on the ground about everything environmental and sustainable, from green lifestyle changes to big systems thinking. She will explore ecovillages and intentional communities, resource depletion, sustainable living, safe places to live and all things green. Each week has a special guest, as Maya chats with everyone about planetary concerns, not just the experts. It's like a roundtable environmental discussion with your friends. http://tinyurl.com/jrsgrgx. Just when you thought you should pack your bags and move to Canada, the leading climate scientist at Union of Concerned Scientists breaks it down for us. We cover Jason Funk's experience at the Paris Climate Summit COP 21, how to frame the climate conversation for disbelievers, the separation of corporation and state... and why we shouldn't just pick up and move in fear. This one is super inspiring! Starhawk's Sequel: Interviewing the prolific writer on her process for City of Refuge.